See full results page here. 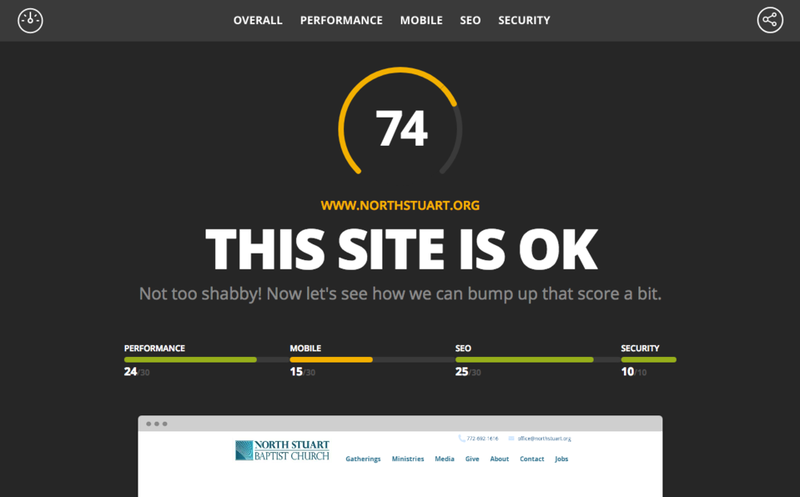 Current Site: Your site doesn’t fully adjust to the browser size when you expand or contract the browser window. Search engines will penalize your site for lacking mobile-responsiveness, making it harder for people to find you in an online search. Legacy Loft Built Site: If someone expands or contracts their browser window, your site will adjust with it. Your website will look just as beautiful on a phone as on a tablet or desktop, without any extra work on your end as you make edits. Your Search Engine Optimization (SEO) will be boosted through having a fully mobile-responsive site. Current Site: Your current site is being slowed down by so many individual pages. Having to make too many clicks to navigate through the site will also deter people from viewing your website. Legacy Loft Built Site: We’ll condense some of your pages, breaking them down into sections, so that the text and information flows in a user-friendly manner. This will also boost your site’s speed and SEO. Current Site: Your current is has been built on Wix, which often makes it challenging to make changes, add pages, and edit content without messing up the site. It’s not easy for people with little Wix experience to upkeep. Legacy Loft Built Site: We’ll be building your site on SquareSpace, which is extremely user-friendly. It’s easy to make changes and edits, while keeping the original look and feel of the site. I’ll provide in-person training as well as recorded trainings for how to upkeep your site, so anyone on your team can make changes. With over 12 years of design experience, 4+ years in marketing, and a BFA in Graphic Design from the University of Florida (Go Gators! ), I have the education and experience to create designs that are not only aesthetically appealing, but also effective – making use of human psychology to reach your ideal clients. I’m here to partner with you to create a strategic brand that you can be proud of. Teamwork makes the dream work! In order to provide the highest quality services and timely turnaround times, I sometimes contract trusted professionals to work with me, such as a copywriter for the copy package and a photographer for the photo package. I’ll always remain your point of contact for communication and Creative Director over the work to ensure it maintains the Legacy Loft standard. Click an image to view live site. After signing the contract and providing a deposit, we’ll meet to discuss your goals and desires for your website. You’ll send me inspiration for the look you’re aiming for. We’ll first create a wireframe of your new site to outline the site flow and page content. After approval of the wireframe, we’ll design the graphics and site styles, while you gather the content for us to plug in. After you’ve approved everything, we’ll transfer your domain to the new site so it can go live. It’s time to celebrate your fresh new look! We’ll work through your site one piece at a time, first looking at the outline of each page’s content by creating a wireframe, then designing the look and feel of the site, and finally adding in your content. You’ll get to provide feedback and changes for each step before we move on to the next element. You’ll select one person from your team to be the point person for the project to keep communication streamlined and simple. All designer/client communication will go through this person. "I was looking for branding for my new speaking business, and Lauren patiently helped me through the process until we found the perfect combination of color and style that worked. The web site and logo she produced looks high-quality and is already receiving positive feedback from clients." The project will officially commence after you sign the contract and the deposit payment has been processed. You’ll get the best results when we’re both engaged in your project and stay on schedule. We’ll choose a deliverable & communication schedule that works for your team. For example, if your website committee will be meeting every Tuesday at 2pm, I’ll provide the latest deliverable for approval prior to your meeting. Our average turnaround time for website projects is 2 months*. To keep the flow and momentum of the process, you’ll need to provide timely feedback, communication and provision of assets. *Client participation is required for timely delivery. Rush deadlines are available for an additional fee. Designer creates the look & feel of the website: colors, fonts, graphic styles, etc. Designer produces the site — adds all text, photos, graphics, links, etc. Designer connects the domain to push the site live! 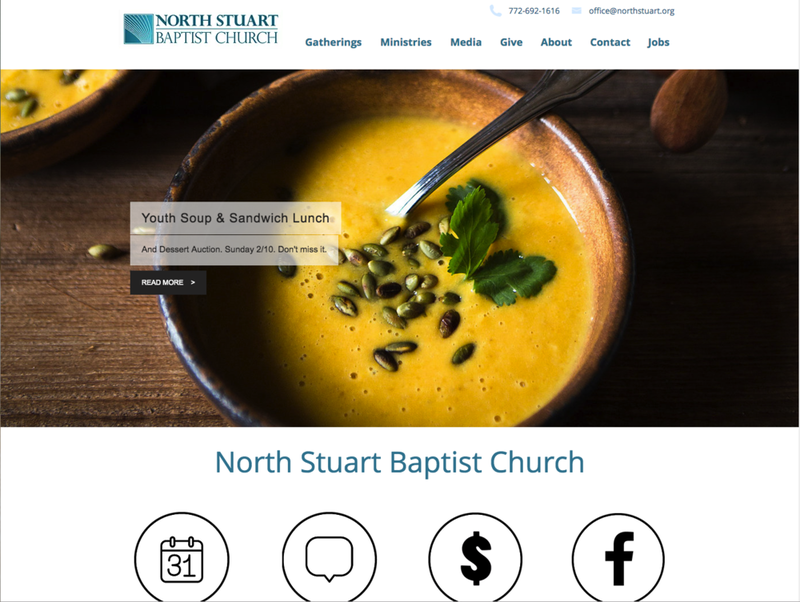 Design: Mobile-responsive website on the SquareSpace platform with conversion-centered page layouts, custom graphics & banners as-needed, light photo retouching and resizing to appropriate web sizes, etc. Consulting: We want to ensure that your site is as effective as possible, so we lend our website and marketing expertise to build a site that communicates clearly, flows well, and is strategically structured. We take your vision and advise you on how to best accomplish your website goals. Marketing: Basic SEO (Search Engine Optimization) is included via meta descriptions, photo descriptions, page names, etc. If you’d like strategic, in-depth SEO analysis, research and implementation, a separate package* can be purchased upon request. Photography*: Having high-quality photos can be the difference between looking professional vs looking DIY. If you’ve had professional photos taken recently, we’d love to use those images. Otherwise, we advise that you purchase the photo package for a refined look to accommodate your fresh new website. Copy*: The copy (text) on your site is just as important as the design. Less is more when it comes to your copy, since web users tend to browse & skim rather than read large chunks of text. Our professional copy package ensures that your website copy is simple and effective, so that you communicate clearly and concisely. Tech: We’ll ensure a smooth transition from your old site to the new site when it’s time to transfer your domain. We can set up your billing for you, or provide you with instructions to add your credit card information to the site. Support: After completing your site, we’ll walk your team through how to make edits and changes on your own. We’ll also provide a walk-through video of how to maintain your website so anyone can be trained to maintain the site. We also include 30-days worth of email and phone support for light maintenance. Additional support* can be purchased as monthly or hourly packages. A clean and professional website* that’s user-friendly for viewers and internal staff alike. Strategically designed to flow well from page to page with a beautiful design. Personalize your site with beautiful photos of your staff, congregation and church campus. Includes photos key staff members (up to 10), the facility (around 5), and candids of the church in action (around 10). Communicate clearly and effectively with professional copywriting services. We’ll optimize your messaging for the web, making it concise and easy to skim. Rush Fee: Receive your new website in 30 days for an additional $350. Some regulations apply. Ongoing Support: Want help adding weekly sermon notes, audio messages, event updates, etc? A custom maintenance quote can be provided depending on your needs. In-Depth SEO: In-depth SEO analysis, research and implementation to boost your Search Engine Optimization. Thank you so much for considering Legacy Loft to be a part of your website redesign! We’d love to help you create a beautiful and functional new site!